Even though I consider myself as an active person, I have always struggled with exercising regularly. Whenever my friends tell me there is a pick up soccer or basketball game, I am in. But these activities are every now and then, and for me, exercising regularly has always meant going to a gym regularly or doing similar stuff outdoors. At least until I recently started BJJ (Brazilian Jiu Jitsu). I should probably first mention that I am in no place to make judgements about the sport of BJJ. I only had a couple training sessions so far. Today, I would like to speak more about the change in my perception of exercising regularly. For years, I set exercising goals for myself such as exercising this many times this a year, or exercising this many times a week. There were times I hit my goals and there were times I did not, but regardless I struggled. Gym was just never a place I was enthusiastic to go. I tried different gyms or outdoor places, no luck. Whenever I had a soccer night, I counted that towards my goal as well, but as I said these were every now and then. I always had this perception that major part of exercising regularly should be going to a gym and following a program. Now, after starting BJJ, I realize I might have been wrong. With some self-discipline and with the mindset of being better every day, anything can mean exercising regularly, especially if you enjoy it. I am currently reading this book “What I Talk About When I Talk About Running” by Haruki Murakami who has been running for a long time to exercise. I would like to quote a part of the book: “I don’t think it’s merely willpower that makes you able to do something. The world isn’t that simple. To tell the truth, I don’t even think there’s that much correlation between my running every day and whether or not I have a strong will. I think I‘ve been able to run for more than twenty years for a simple reason: It suits me. Or at least because I don’t find it all that painful. Human beings naturally continue doing things they like and they don’t continue what they don’t like.” I feel like my experience has been the same so far. I have to admit though, after the first training session I thought BJJ might not be the best thing for myself. It was the first time I was trying a fighting sport and I thought there is too much risk of hurting myself. My friend convinced me to try at least ten sessions and I am glad he did. As BJJ training sessions continued, I started enjoying it much more, and I started looking forward to the next session. A big thanks to my instructor for making it so. My mindset change started at this point I think. I realized this is something I can easily do regularly, unlike going to a gym. Though at first, I didn’t consider BJJ as something that can replace exercising regularly at a gym. It was more like regularly taking a course to learn something new, like painting or playing guitar. I realized BJJ can also mean exercising regularly when I started listening to my body. A couple weeks after starting, each session felt equal to lifting weights for three hours followed with running on a treadmill for five hours. 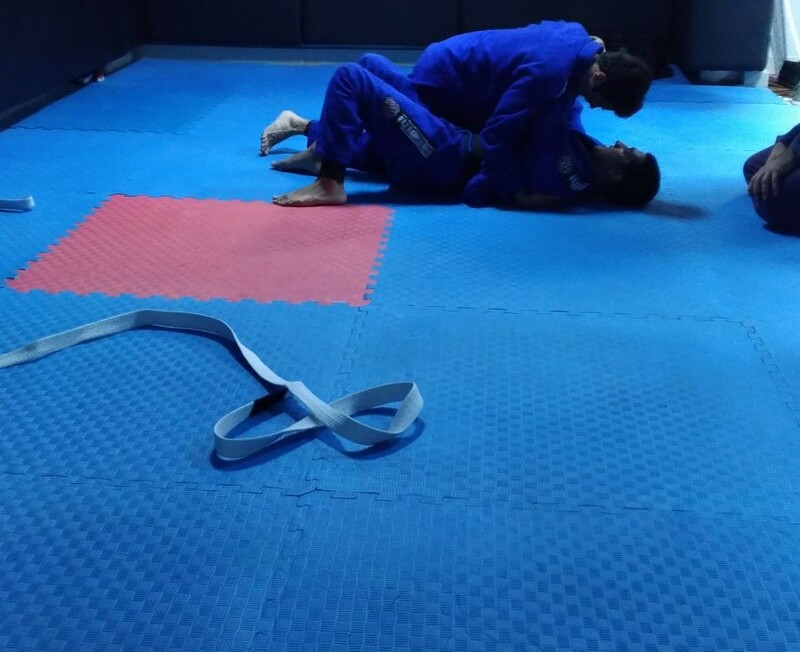 I realized BJJ could actually solve my problem of having a hard time exercising regularly. Plus, I could have a lot of new skills. I would like to leave a small note here. There is this saying, no pain no gain. And in the future, things will get intense, and maybe I will not enjoy BJJ as much as I do now. But for now everything is great. I am optimistic about my problem of exercising regularly because now I know exercising regularly is not equal to being stuck to a gym. If I decide to quit BJJ after some time, I can start another sport that is fun for me and keep exercising regularly. Plus, I will learn a lot of new skills and keep them with me. People who are into body building or people who love exercising at a gym might be a little mad at me at this point. I might have portrayed going to a gym regularly as something dull and something that doesn’t give you any new skills. I definitely don’t think going to gym is like that. I just personally don’t feel like I am gaining any new skills at a gym. But again that is just me, and I am aware I will probably need to go to gym occasionally to build on top of my BJJ skills anyways. Before I finish, I want to say a few words about the economic side of things. I know a lot of people are not able to start learning something new because of economic reasons. Learning something new from a good instructor can be expensive. But I certainly believe if people look around for opportunities and do some research they can find economic solutions to start learning something new. For example there are group sessions in which you can learn BJJ, and they are way cheaper than taking individual lessons. It might take some more time to learn something in a group session but who cares, most of us are not training to be a world champion. As long as I am exercising regularly, improving myself and learning new things everyday, I am happy. If I get back to my BJJ experience, I am very happy that BJJ changed my mentality about exercising regularly. Big thanks to my instructor for this, and I am looking forward to learning more and challenging myself.